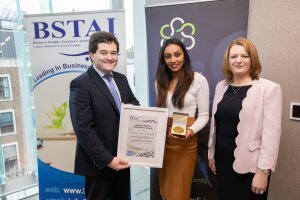 St. Angela’s Karen Chandrakanth is one of four students who has been awarded a medal as part of the Business Studies Teachers’ Association of Ireland (BSTAI) Achievement Awards, hosted by Banking & Payments Federation Ireland (BPFI). 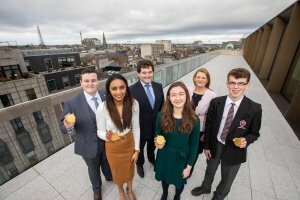 The award recognise the top-scoring students nationally in Accounting, Economics, Business at Leaving Certificate level and Business Studies at Junior Certificate level. 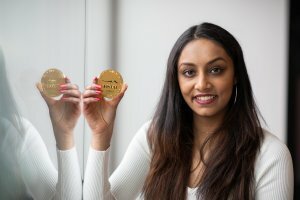 Karen received the award for Leaving Certificate Accounting 2018. 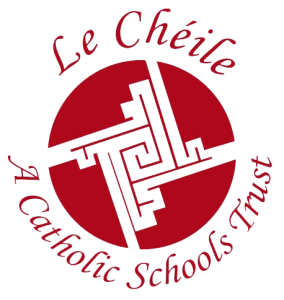 The BSTAI also awarded Karen’s Accounting teacher, Ms. Nora Donovan, with a Certificate of Teacher Commendation.